Scout Fantasy Sports walks you through all the important details regarding blind bidding waivers. You’ve just completed your Fantasy draft. Your team is flawless. The roster you assembled has no holes from LeSean McCoy all the way down to the New England defense. Every round broke just the way you wanted, and you were even able to snag all your sleepers. You have depth everywhere and giggle to yourself as you compare your all-mighty roster to that of your teammates. Rule number one of Fantasy football is never to get too overconfident. The Fantasy gods have a way of knocking the best team back down to reality. A general rule-of-thumb is never to celebrate too quickly. In fact, poll most successful Fantasy Football owners, and they will tell you their best teams didn’t start that way and improved through the year; as a result of fruitful waiver wire pick-ups. As Fantasy Football has evolved, so too has weekly waivers. But not in every case. Nearly all free leagues and even some of the home leagues you participate in still utilize the archaic feature of first come, first serve. In that format, the best Fantasy option is awarded to whoever can get online first to press a button; boiling down to being rewarded for having a smart-phone or more time on their hands. Not fair to you, especially when your boss is riding you for a report first thing Monday morning. Not much better is the waiver wire format that rewards the best available to the owners with the worst records in the league. This is similar to kiddy league t-ball where everyone wins a trophy. In order for Fantasy football to be fair, the integrity of the league should never be compromised. Weekly free agent acquisition should incorporate a strategy; just like the draft and weekly starting line-up assignments. It is for this reason that free agent blind bidding should be the universal process for all leagues, just as it is in our Fantasy Football World Championships! 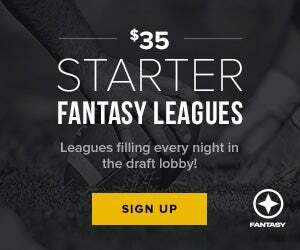 With the exception of the unique Draft-n-Go format that locks in a final roster at the time of the draft, all FFWC leagues utilize the identical blind-bidding format. That means, whether you are playing a $35 Scout Beginner Full Season League, $299 Online Championship or the $1,795 Fantasy Football World Championship, you are working with the same set-up. The process is very simple, so even if you are a first-time player, you need not feel intimidated by the process. It’s fun and adds excitement to your Fantasy experience twice per week. Yes, twice! And if you are thinking to yourself that twice a week is excessive — FFWC starting lineups are 11 players deep with the double flex. Waivers will be your friend, no matter how good you think your roster is. After playing a season with this format, you will never want to play without it. In fact, you won’t even remember there was a time you did waivers any other way. The Scout Fantasy format employs something called FAAB. It stands for Free Agent Acquisition Bidding. Each week you are given two opportunities to add players to your team (Wed night at 9pm and Friday night at 9pm). You are given $1,000 “FAAB BUCKS” (these are fake dollars) to last you the whole entire year. Run out, and you’re done adding free agents, so spend it wisely. Weekly bids can range from $1 to $1,000. Compete in Scout Fantasy’s contests, anywhere from our $35 Starter League to our $299 Online Championship, and of course in the Main Event! Scout Fantasy is the home of the best players and payouts in the world! Learn more about our contests here!! So as an example, let’s say in Week 1, we see a dozen free agent WRs heavily targeted, and all post 15+ Fantasy points. The receivers on your roster either under-performed or were injured. You have to decide how much any or all of those receivers are worth to your team and bid accordingly. How about if you drafted Drew Brees as your only QB, but he gets hurt. You need a reliable QB until he returns. In addition to identifying needs on your team, you must decide who can be cut loose from your roster. Rosters must always remain at 20 players. On Wednesday at 9pm EDT, “waivers run” and you will find out the results. It’s a fun but nerve-racking sweat. If you didn’t get the guys you wanted, you still have another chance on Friday night to get somebody else if you were outbid on your Wednesday waivers. Wednesdays: Open to all available free agent players. Fridays: Open to all available free agent players – not to players dropped on Wednesday. Bidding Ends: The last bid period is between NFL weeks 12 and 13. Locked Players: Players cut after NFL Week 10 cannot be re-acquired by any team in that league. Chances are if you see a valued player on the waiver wire, your league mates do too. This is where the strategy comes into play. The ‘FAAB’ format has been around for a long time, but the blind bidding aspect levels the playing field as there is no science or advantage for those that have bid before. It just comes down to how much do you want a particular free agent. The simplest way to approach bi-weekly waivers is to first determine the needs of your team. Whether it be injury or bye week dilemmas, you have to identify the value of additions. At the beginning of the year, with a full factitious wallet of funds, the inclination will be to spend. Be careful. Unless your roster has a critical need that’s going to be a headache all year, it’s best to not go nuts after the first week. Yes, over the years, there have been rookies like Anquan Boldin in 2003 and Cam Newton in 2011 that had full year production justifying going all-in during the first week of waivers. For every Cam, there have been hundreds of examples of misused funds, so avoid the urge if at all possible. Even with going all-in, it’s wise to keep $100 in reserve as you will need it. Players get frequently injured and legitimate options pop up all year, so it’s important to remember the season is a marathon, not a sprint. With that said, you also don’t want to be out of contention after a month, so it’s important to recognize the option to upgrade via waivers. As a point of reference, here are some spending ranges to set you off in the right direction. Keep in mind this is based on having a full bankroll of $1000 FAAB Bucks. As the season progresses, you will need to be savvier with bids. Pro-tip: Always go a few dollars higher if you REALLY want a guy. It’s not fun to envision a roster add only to lose out by a few dollars. Note: Since you can only get one player per bidding group, you would simply copy these bids into your Waiver 2 group. That way, you could potentially win both Vereen and Beasley. If you only have one group of bids, you can only win one player! As noted in the example, positions do not matter. You can pick up and drop players regardless of position. Additionally, you can adjust the bid amounts. You list the players in the priority you want them. Let’s make the assumption that another owner bid $70 on Beasley, but nobody bid on any of the other players in your list. In that situation, your new roster would add Vereen and WR3 while Dalton and West would be dropped. Your FAAB balance would decrease by $55. It’s that simple. But remember, you would NOT get that second player unless you created a second bid group. You can only win one player per group in the Fantasy Football World Championships!